Attempts to describe It’s Always Sunny in Philadelphia usually center around how despicable the characters are. If you have watched the show at all, you’ve probably seen the gang–Charlie, Mac, Dennis and “Sweet” Dee–do some pretty despicable things, to everyone around them including each other. The lowest of lowlifes. So, if you’re going to write a pilot about the scum of the Earth and expect people to keep watching, how do you do it? Not only did the show’s creators, Rob McElhenney (Mac) and Glenn Howerton (Dennis) get their show noticed, they did it on almost no budget. The story of their bargain basement pilot catching the attention of FX, who re-shot it on location is a well-known piece of It’s Always Sunny lore. If you rewatch the pilot, “The Gang Gets Racist,” you’ll notice something interesting. The gang isn’t that horrible. The episode opens as Dee (Kaitlin Olson) innocently introduces a friend from her acting class, Terrell (Malcolm Barrett), to the three guys as they’re closing up the pub they own. As Terrell enters, Mac, Dennis, and Charlie (Charlie Day) react with slight alarm, as though Terrell poses a threat. Once Dee explains who he is, they trip all over themselves trying to sound casual and dropping awkward, racially insensitive remarks. So they look like idiots, but it’s easy to buy that they just got caught off-guard. We can relate cuz we’ve all been caught with a foot in our mouth at one time or another. It’s all smoothed over once everyone has some beers and the gang decides to hire Terrell to promote the ailing bar. As the show unfolds, we meet The Waitress (Charlie Day’s real-life wife, Mary Elizabeth Ellis), who works at the local coffee shop. Dennis observes that Charlie is obsessed with her; the introduction to one of the show’s longest running gags that only intensifies. Charlie is again misinterpreted as a racist when The Waitress enters just in time to hear him quote Terrell’s mention of “n—ers hanging from rafters.” Naturally, she is horrified, but we sympathize with Charlie, seeing him as just a sweet guy with a crush and bad timing. We start to notice something about Terrell is not what it seems when he ducks a kiss from the gorgeous Dee and instead eagerly embraces Dennis. It’s then quickly revealed that he is gay and his strategy to increase business for the pub is to turn it into a gay bar, a wildly successful undertaking. A disappointed Dee demands, “How could you not tell me you were gay?” Answer: “I’m a musical theatre actor.” It might only be because I have a musical theatre background, but I love this joke and it’s decidedly simple and mainstream. Something you could say on prime time network TV. We delve a bit deeper into the characters’ dark sides as we see Dennis lap up attention from gay men like a dehydrated puppy, and then watch as Charlie parades a black date in front of The Waitress to prove he isn’t racist. Meanwhile Mac feels left out because black people don’t take to him like they do to Charlie. Through it all Dee seems pretty normal and nice. Theeeennnn… We get to the climax of the episode. Dee decides to teach both Dennis and Charlie a lesson and set everything back to normal. Her plan is effective and more than a little shocking–with a twist at the end that makes it even worse. The pilot gives a good look at the show’s dark sense of humor and its edginess. It’s laugh-out-loud funny. It has fun with political incorrectness. But only now, as the show prepares to launch its eighth season, can we look back and see that it was only Family Guy offensive in 2005. It took a little while to reach what we can now call It’s Always Sunny offensive. It set a bar now being sought (and reached) by such shows as Wilfred and Louis C.K. So no matter how despicable they get, no matter how much we feel like we need a shower after witnessing their actions, we care what happens to these characters. We’re hooked. Like Dee and Dennis were when they did crack in order to exploit the welfare system. Here’s a guide to many of the show’s tropes. 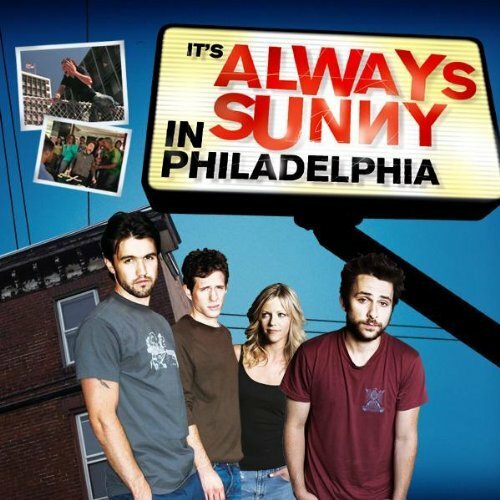 This entry was posted in 2000s, Comedies and tagged charlie day, crude, fx, glenn howerton, it's always sunny in philadelphia, kaitlin olson, offensive, paddy's pub, rob mcelhenney by meekthegeek. Bookmark the permalink.